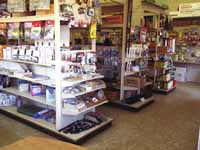 Visit our fully stocked accessory store! Click on the links below to instantly place an order using our convenient online RV and Marine catalogs! Kadco also services utility trailers for light and heavy hauling, cargo, auto transport, and horse & animal trailers. No place to store your RV? We have storage available! Need to be winterized or dewinterized? We can do that for you. No need to worry about broken pipes when camping season comes along! Our mission is to provide our customers with the best possible camping experience. And to do that, we need to help them receive the best possible service. 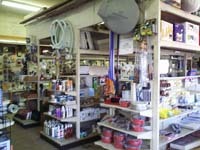 There's more to just selling RV's...we're still here when you need us most! So, if you have a question, or need help finding a part, we're here! Kadco, Inc. is located at 1214 Route 130 in Robbinsville, NJ and can be reached at (609) 443-1133 or via service@kadcorv.com. An interactive map is located on the Contact Us page.